Ricoh announces that the Company concluded a share transfer agreement today following the resolution to transfer 80% of the outstanding shares of Ricoh Electronic Devices Co., Ltd. (referred to as Ricoh Electronic Devices from here), its consolidated subsidiary, to Nisshinbo Holdings Inc. (referred to as Nisshinbo Holdings from here), made at a Board of Directors’ meeting held on October 30, 2017. The transfer of the shares, which is subject to the approval of the relevant authorities, will eventually take place by around March 1, 2018. As a result of the share transfer, Ricoh Electronic Devices will be an affiliated company accounted for by using the equity method. Ricoh has been operating a device business including external sales for more than 30 years since the Company launched the business as one of its divisions in 1981. The division was separated through a company split and made a fresh start as Ricoh Electronic Devices on October 1, 2014. This initiative was undertaken to ensure that management decisions could be made rapidly, as Ricoh Electronic Devices operated in the semiconductor industry where significant changes were occurring. Leveraging CMOS analog technologies based on which pioneering devices were commercialized as a core competence, Ricoh Electronic Devices provides compact and energy-saving power management ICs for the mobile device market, high voltage, large current and high-performance ICs for the automotive and industrial markets, and compact and high-precision protection ICs for Li-ion batteries, among other products, thereby contributing to enhancing the added value of customers’ products. In addition, it provides high-spec image processing devices that contribute to the differentiation of imaging equipment such as printers and MFPs, namely Ricoh Group’s core products. Ricoh Electronic Devices also offers Customer Owned Tooling (COT) services through processes customized to customer requests, making the most of their unique production technologies. Through these efforts, Ricoh Electronic Devices’s products and services are highly rated. Advocating RICOH Resurgent in the 19th Mid-Term Management Plan, a three-year plan that launched in fiscal 2017, the Company has been working on the implementation of structural reforms, the prioritization of growth businesses, and the reinforcement of management systems. Efforts have also been made to improve the competitiveness of the analog semiconductor business carried out by Ricoh Electronic Devices by introducing capital, resources and expertise through collaborations with operating companies in the same business. Nisshinbo Holdings, whose subsidiaries include New Japan Radio Co.,Ltd., which operates its business with a focus on semiconductors and microwaves, provides a range of products such as general-purpose linear ICs and microwave equipment. Nisshinbo Holdings is working on growth strategies by allocating management resources selectively to automotive and super-smart society-related businesses under the slogan of taking challenges towards a new era of technological innovation and super-smart societies. The share transfer has been agreed based on the decision that synergies generated by combining the expertise of the analog semiconductor business and the customer base developed and built by Nisshinbo Holdings and the analog semiconductor business of Ricoh Electronic Devices are effective for the sustainable growth and the increasing corporate value of Ricoh Electronic Devices in the future. The Company will transfer 80% of the outstanding shares of Ricoh Electronic Devices to Nisshinbo Holdings. 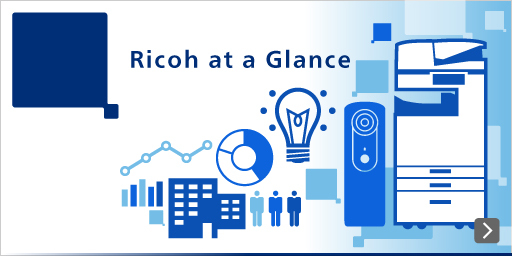 Ricoh will continue to support our group company (an affiliated company accounted for by using the equity method), Ricoh Electronic Devices, through providing infrastructure services even after the shares have been transferred. (1) Corporate Name Ricoh Electronic Devices Co., Ltd.
Transactional relationship The Company provides electronic devices to Ricoh. * Operating results for Full year-end March 2015 is for the period starting from June 2nd, 2014 to March 31st, 2015 as this was the　first financial year after establishment. (1) Corporate name Nisshinbo Holdings Inc.
(2) Head Office 2-31-11, Ningyo-cho, Nihonbashi, Chuo-ku, Tokyo 103-8650, Japan. 4. Number of shares to be transferred, transfer price and ownership of shares before and after the transfer. (3) Transfer price Transfer price is not disclosed due to an agreement with the company to which the shares will be transferred. Also, the transfer price was calculated upon mutual consultation. It was regarded as fair value at Ricoh’s board meeting where external directors and external auditors were present. The impact of the share transfer has been deemed immaterial with respect to consolidated operating results. As for the forecast of consolidated operating results for the full year ending March 2018, please refer to the quarterly report for Q2 financial announcement ending March 2018.